You might remember the story of my hopeful little garden. My, oh my … the zucchini! I found a couple of varieties that actually thrived in the less-than-ideal conditions I had to offer. 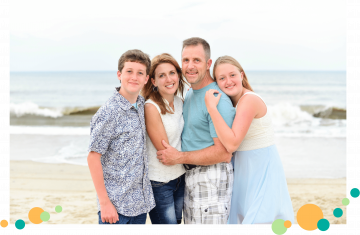 In fact – what’s a word that means more than thrived?!? Burgeon? Flourish?? Well, whatever … that’s exactly what they did. And one specific variety was designed to be grown to unusually large sizes (like, nearly as large as my toddlers)! So yes. I know a thing or two about using up zucchini. 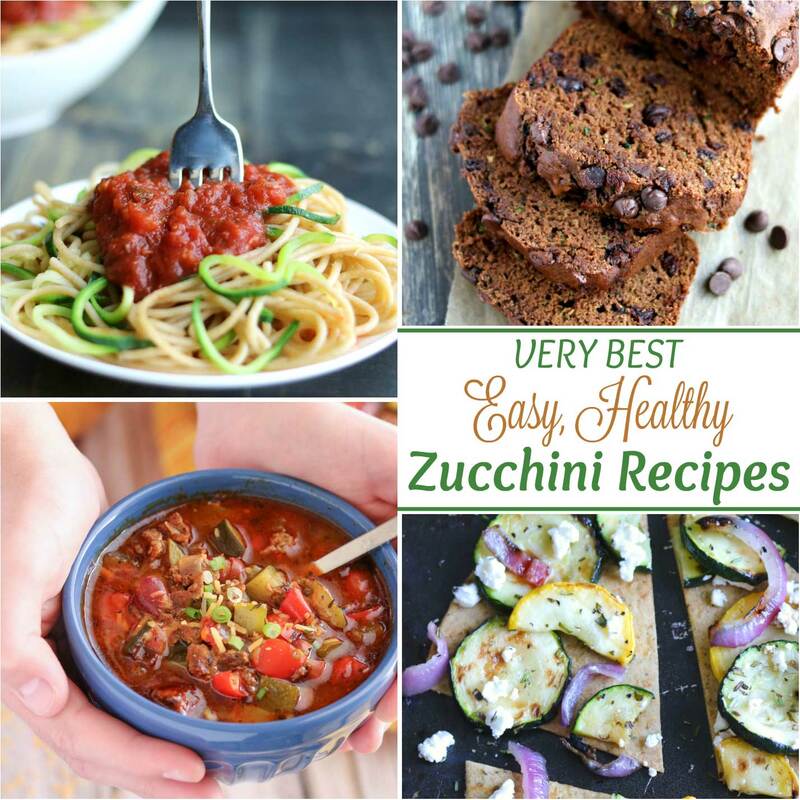 Healthy, easy zucchini recipes became an absolute must in my kitchen! And, over the years, I’ve found that zucchini is truly a joy to cook and bake with. Mild and neutral-flavored, it’s a great candidate for practically any cooking method – and for both savory and even sweet recipes (like our crazy-delicious Almond Joy Zucchini Cake). 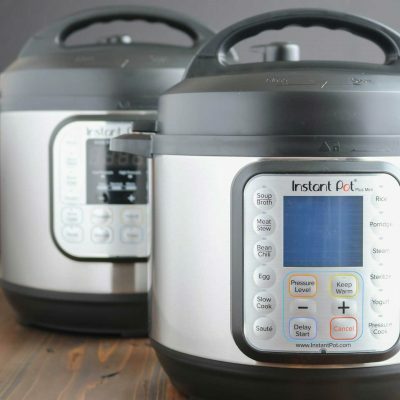 It’s great for stuffing and grilling, for example. Or, can it be used to stealthily add moisture to quick breads and cakes, while fading quietly into the rest of the recipe without messing with the other flavors. Some zucchini recipes showcase the zucchini itself as the star, and others embrace it as an unobtrusive addition to round out other flavors and ingredients. Either way, arming yourself with some tried-and-true, healthy zucchini recipes means you’ve got another great way to work extra veggies into your family’s meals. 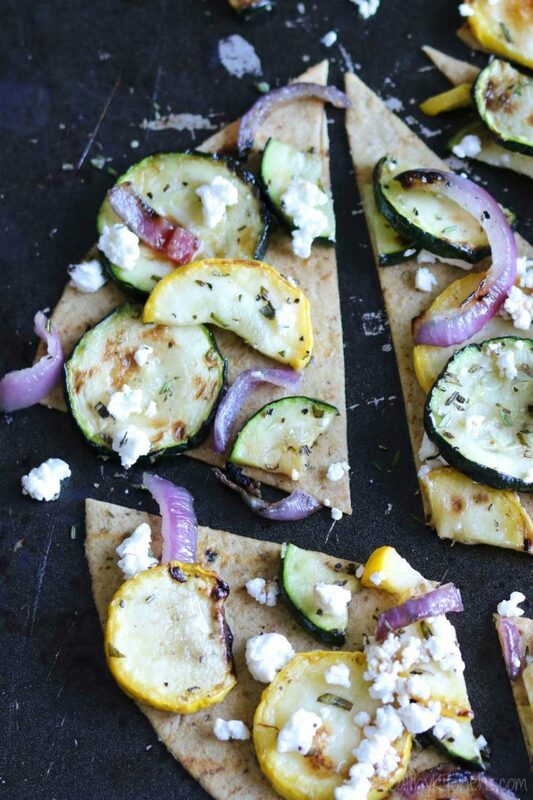 Zucchini is low in both carbs and calories, and it’s cholesterol-free and fat-free. So as we head into summer … and all those backyard gardens and farmers’ markets overflowing with zucchini, zucchini and MORE zucchini … this year, you’ll be ready! 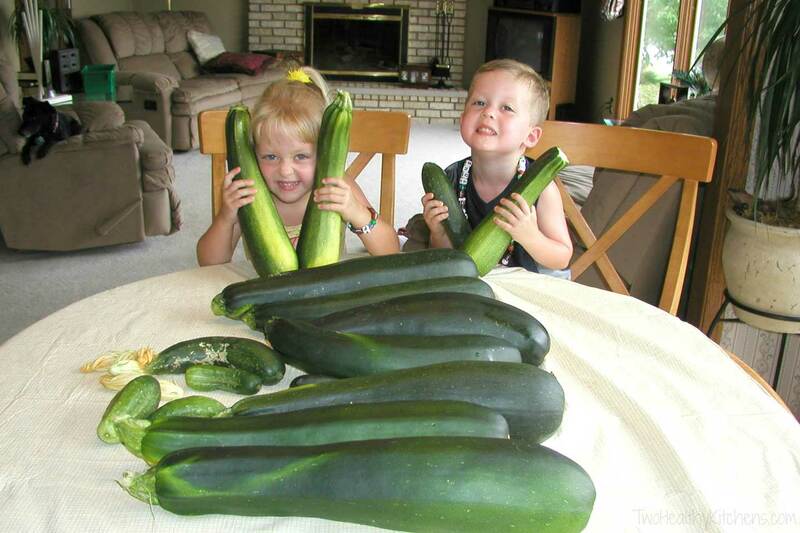 In fact, this year you’ll be looking forward to the barrage of zucchini heading your way! And, if you’re like me, you’ll find yourself eagerly buying zucchini all year long, because I just don’t want to wait for summer to roll around before I can enjoy some of my favorite recipes again! From unique zucchini bread (plus a zucchini cake!) to an easy zucchini casserole, a contest-winning chili, and even a grilling idea ... zucchini will never seem boring again! Oh yeah ... and of course we've got zoodles for ya, too! 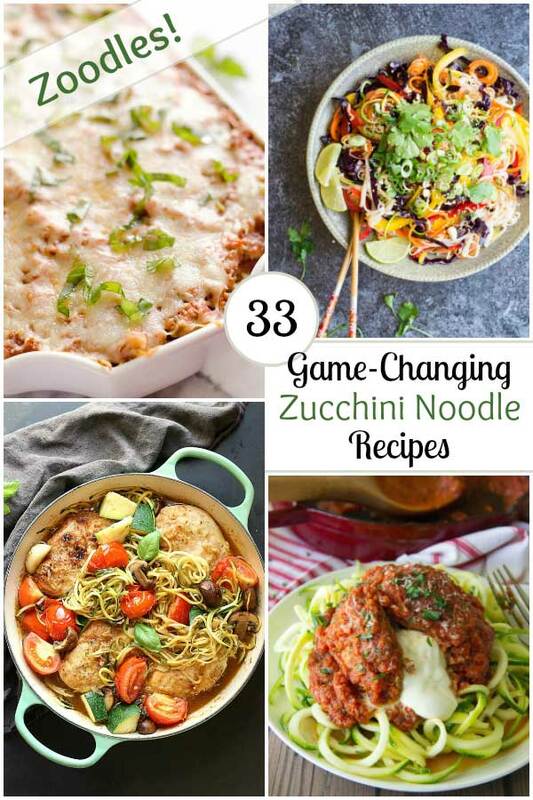 Healthy, easy zucchini recipes you'll look forward to making again and again – these will having you HOPING that those zucchini plants take over your whole garden this year! Any list of beloved zucchini recipes HAS to include at least one zucchini bread, right?!? 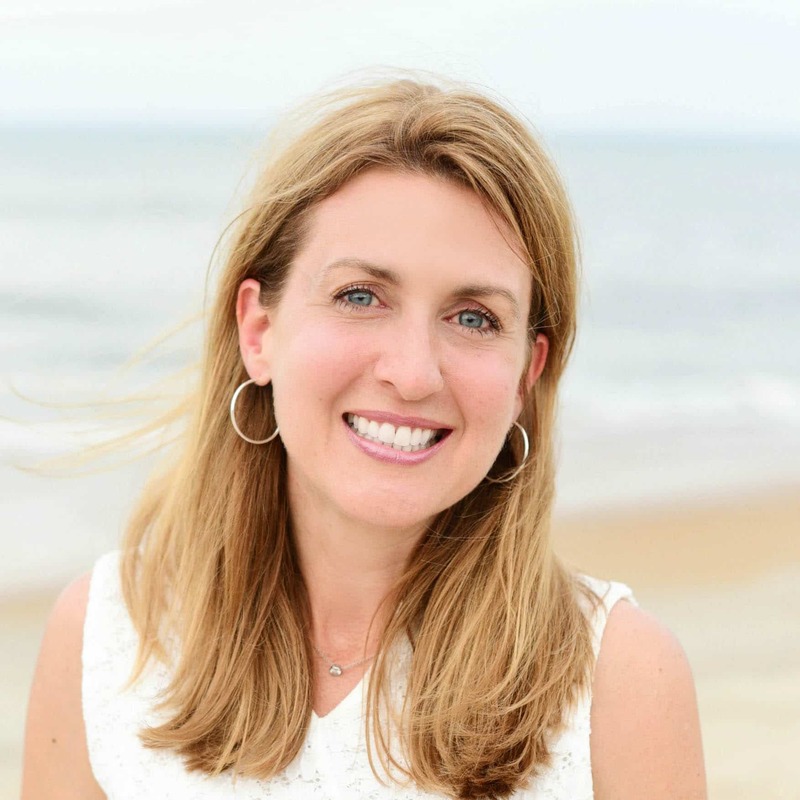 But it doesn't have to be a hum-drum, same-old-same-old recipe! Shake up your zucchini bread routine with luscious, sweet-tart cherries and a double layer of rich, deep chocolate flavors. 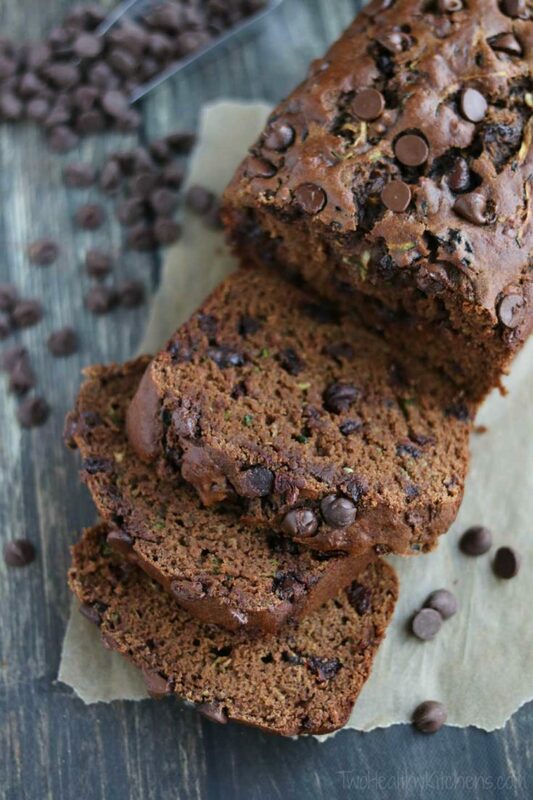 Dense, luxuriously moist, and studded with chocolate chips, this zucchini bread is truly a chocolate lover’s dream! For quicker baking, it's an ideal muffin recipe, too. And it freezes great – so make a double batch for grab-and-go convenience, or for gifts! 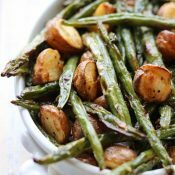 So simple, but wonderfully, deceptively delicious! 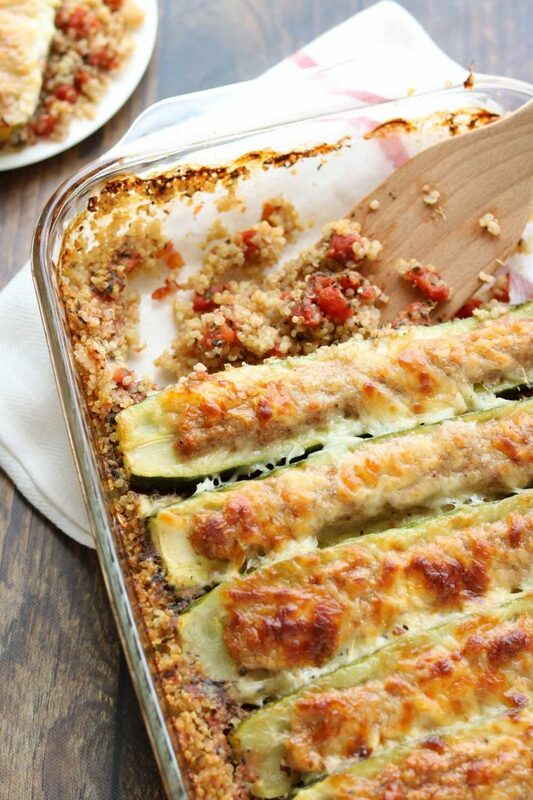 Italian sausage and cheese are stuffed into zucchini boats, then layered on top of a magical quinoa mixture that you mix up right in the pan (nope – you don’t even have to pre-cook the quinoa!). Great for busy nights, too, because you can prep it almost entirely ahead! 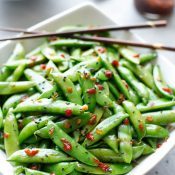 Incredible flavor from a few basic, humble ingredients! 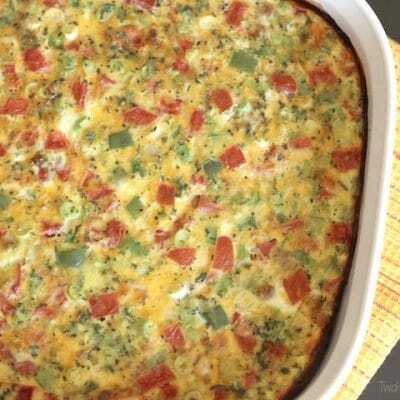 This recipe is terrific as an appetizer – the perfect way to kick off an impressive outdoor, grilling dinner party – or combined with a salad for a quick, satisfying vegetarian dinner. Never made a zucchini cake? 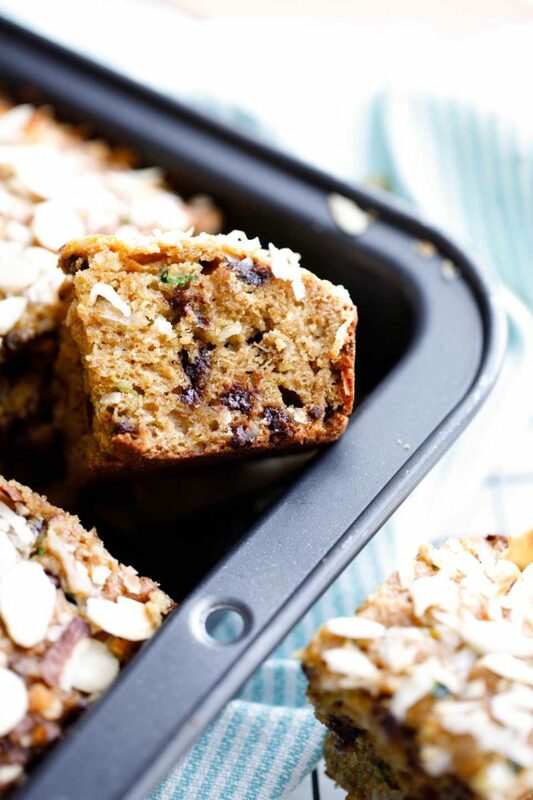 Well, if you love zucchini bread, this is an absolute must-try! It’s wonderfully tender and moist, and filled with the ever-popular almond, coconut and chocolate flavors of Almond Joy candy bars. Nutritious enough for a snack, yet indulgent enough for dessert! 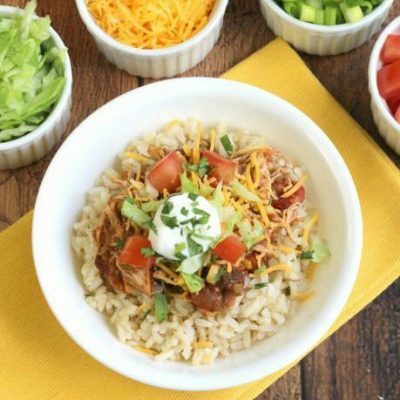 This just might be the most unique chili you've ever tasted! 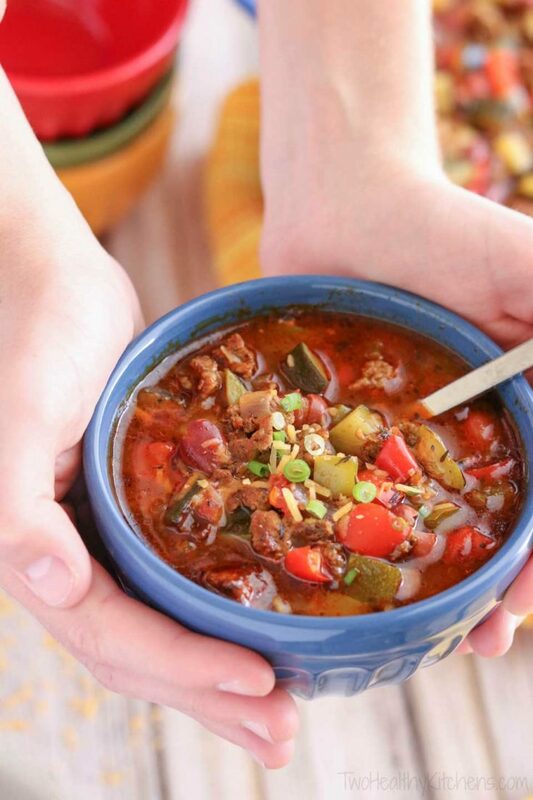 Fantastic enough to win chili cook-offs (where everybody wants the recipe), but easy enough for a weeknight dinner. Plus ... you've got 4 whole cups of zucchini tucked in there, which should definitely help you use up summer's garden bounty! A super-easy recipe that only takes about 15 minutes to make! 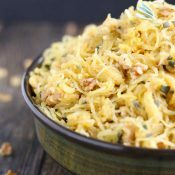 It's the perfect way to give zoodles a try ... or to ease a reluctant family into the whole zoodles craze. 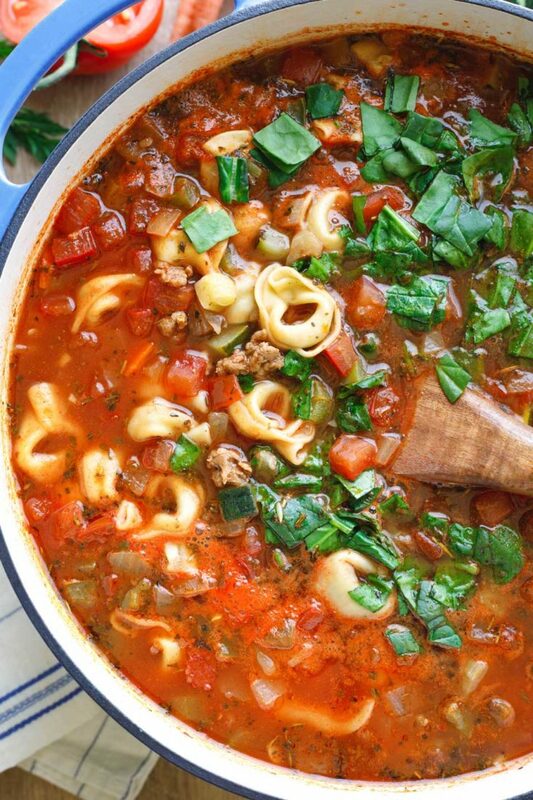 A fun way to change up your pasta routine and to add more veggies into dinner! 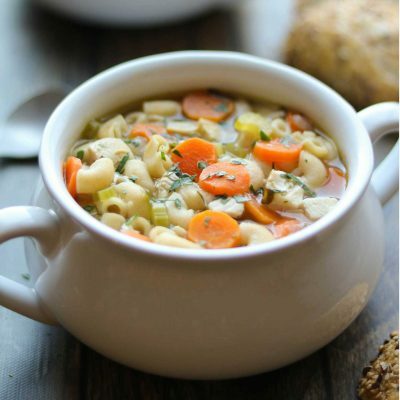 This soup is bright and richly flavorful, and brimming with lots of savory, fresh veggies ... including a big ol' zucchini! Just one bite, and you'll know why it's an absolute family favorite at our house! 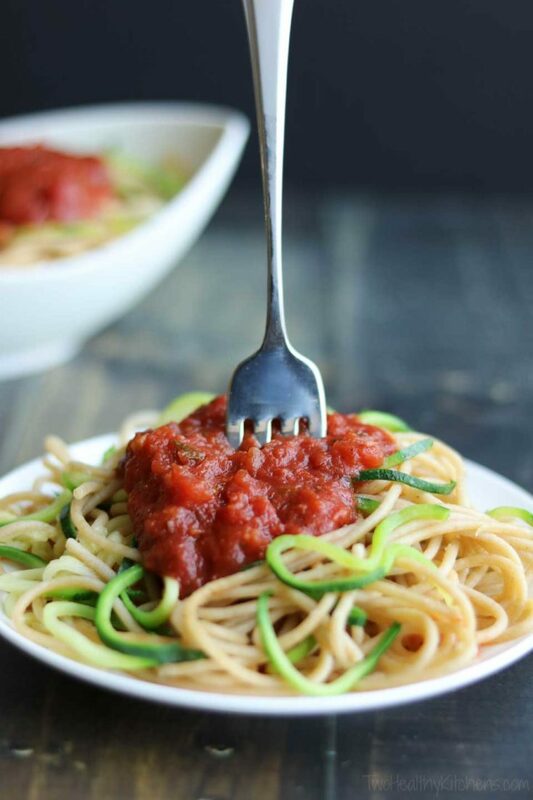 And while we're talking zoodles ... be sure to check out our mega-list of 33 more zucchini noodle recipes! 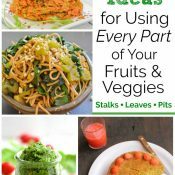 We sifted through oodles of zoodles recipes to collect the very best ideas, from bloggers all across the Internet. 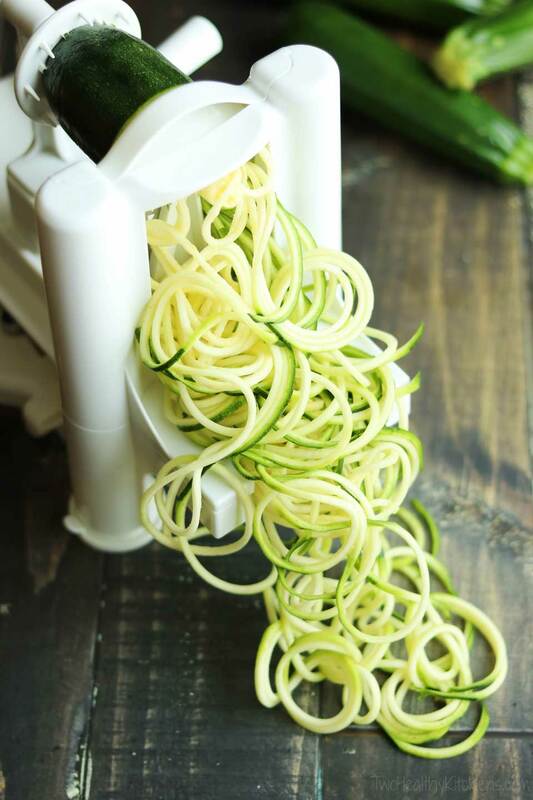 If your spiralizer is your favorite kitchen gadget, you're gonna LOVE this list! 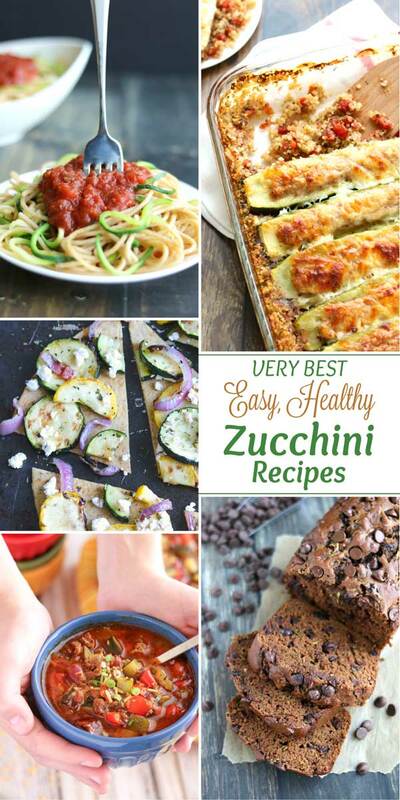 Need Even MORE Healthy, Easy Zucchini Recipes?!? No matter which recipes you decide to try first, you’ll never dread a bumper crop of zucchini again!